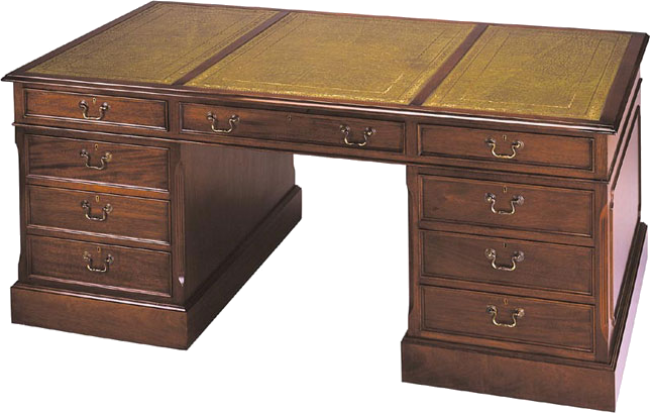 Double pedestal desk on plinth base with hand tooled leather writing surface. Work side consists of center drawer, four box drawers and two letter/legal file drawers on Accu-Ride suspension. All drawers lock. Solid antique brass hardware. Brush slides available on work or approach side. Also available with a modesty panel and wood top. Pictured in Mahogany. Available at 80"W x 44"D x 31"H.